BY MATTHEW C. STRECHER, PH.D. In just a couple of days, the English translation of Haruki Murakami’s most recent novel, Shikisai o motanai Tazaki Tsukuru to, kare no junrei no toshi will be released (aka Colorless Tsukuru Tazaki and His Years of Pilgrimage). A title like that might make readers think of some kind of religious awakening, and after 1Q84, there is some justification in that. But Colorless Tsukuru Tazaki is not so much about religious awakening as it is about waking up to the inner self, and in that sense it is like all of Murakami’s novels. But it is also about growing up, and why we should take the trouble of doing so. There are different kinds of Murakami fans, and some are going to like this book more than others. Those who went in for those long, dreamy visits to the “other world,” that surrealistic place inside the hero’s head in Hard-Boiled Wonderland and the End of the World, the scary hotel in The Wind-Up Bird Chronicle, the enchanted forest in Kafka on the Shore, may find this one a little too realistic for their tastes. But the “other world” does have its role in this novel; in fact, it is closer than we think, always lurking just over Tsukuru’s shoulder, watching him, inviting him, urging changes onto him. In that sense the novel reminds me just a little of Norwegian Wood, which was supposed to be a realistic novel, but in which Naoko is constantly called by people in the “other world”—the land of the dead—to come and join them for good. In fact, Colorless Tsukuru Tazaki starts with death, with its hero staring death squarely in the face, and drawing back from the brink. His urge to death is precipitated by his sense of isolation, because he has been cast out, isolated, and the only way he can survive is to reconstruct himself into something else—something stronger, more self-reliant. In short, he has to grow up. This is achieved more or less at the beginning of the novel, and the real “action” of the story centers on how Tsukuru confronts the turning point in his life, and the people who brought that turning point about. His “pilgrimage,” finally, is a journey back into his past, an event (or a series of events) that occurred nearly two decades before, of which he was, at the time, wholly unaware. In certain ways, Colorless Tsukuru Tazaki is a journey for the reader as well. It takes us back through the Murakami repertoire, shows us glimpses of past themes. 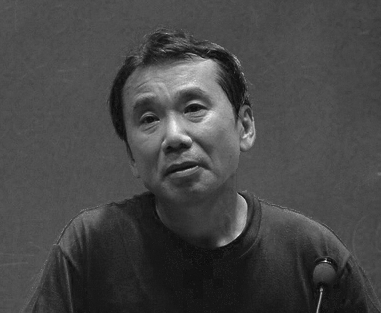 Just as the protagonist of Murakami’s first three works (Hear the Wind Sing, Pinball, 1973, and A Wild Sheep Chase) went looking for the process by which he came to be disengaged from his society and his past, his youth and ideals, Tsukuru Tazaki also seeks the point at which his life changed permanently. Bizarre, metaphysical characters also make a return, including a friend who apparently has mastered the ability to split his mind from his body, wandering freely in astral form. Most important, perhaps, is that the classic Murakami structure returns, in which a kind of “perfect world”—a Utopian circle—is held up in contrast to the actual world of conflicts and contradictions. Which world is preferable? Tsukuru Tazaki and readers alike are invited by Murakami to make their own determinations. But behind this question is a deeper, more relevant question: in which of these two worlds does the contemporary human subject grow and develop? This is no place to give away the ending of the novel, but I will say that regular readers of Murakami’s fiction will find plenty in Colorless Tsukuru Tazaki to enjoy. The story is simpler than some—it focuses on a single protagonist, for instance—and at the same time more complex. There are embedded narratives inside embedded narratives, and the reader must remain alert. But for those who read to the end, there is a kind of enchanted forest, and as usual, much is revealed there. Is there a mystery in this novel? Sort of. Is it “solved”? Again, sort of. But for Murakami fans, that will be familiar, too. 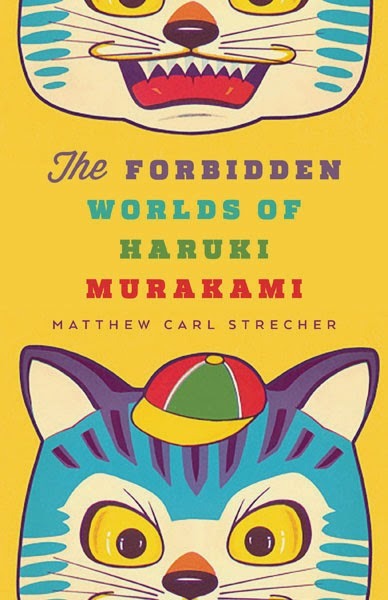 Matthew Carl Strecher is author of The Forbidden Worlds of Haruki Murakami, out this week from University of Minnesota Press. He is professor of Japanese language, literature, and culture at Winona State University. He is also the author of Dances with Sheep: The Quest for Identity in the Fiction of Haruki Murakami and Haruki Murakami’s The Wind-Up Bird Chronicle: A Reader’s Guide. Lorna Landvik: Why I wrote Best to Laugh, Part 1.